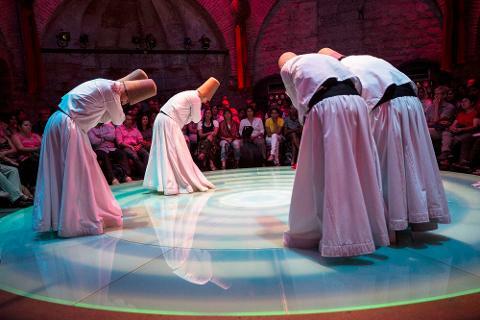 THE SEMA CEREMONY IS A SPRITUAL JOURNEY OF DERVISHES WHIRLING FOR DIVINE LOVE ..
Near the mighty Hagia Sophia Basilica and the magnificent Topkapi Palace, Hodjapasha Cultural Center is a delightful piece of the city’s striking cultural mosaic. 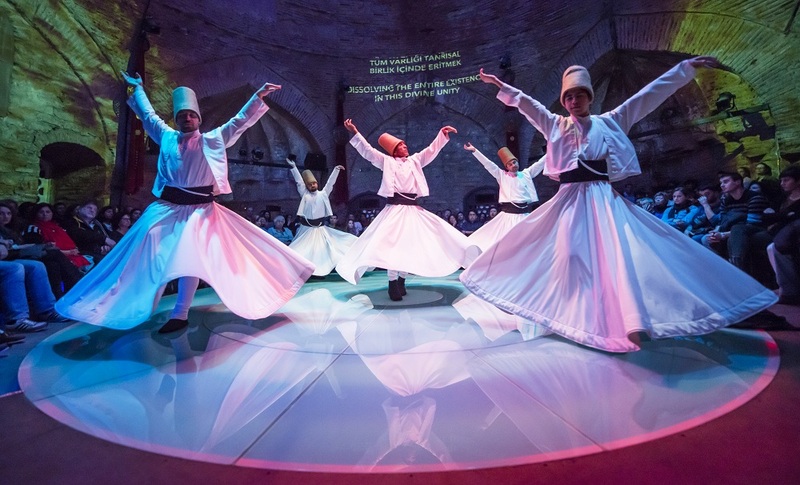 Transformed from a large 15th-century hamam (Turkish bath), it now welcomes visitors under its high dome ceilings to showcase some of the best of this vast country’s traditions. 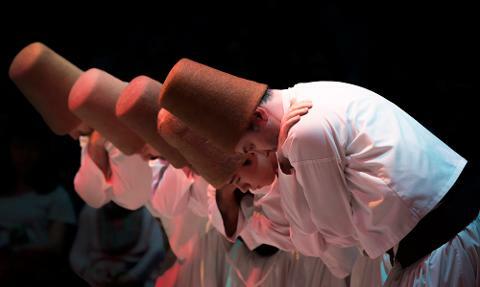 Watch the mystical ritual of the Mevlevi Order, whose whirling dance has been declared a UNESCO Heritage of Humanity. The Sema ceremony is a journey through man’s spiritual ascent to “perfection” through mind and love—a truly unmissable and astonishing experience of music and moves. 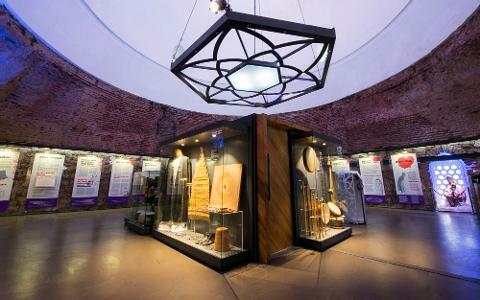 Exhibition features Information displays about dervishes and their ceremony , objects belonging to the world of dervishes such as clothing , musical instruments and personal tools , books. Also Interactive Rumi poems and sufi music samples, Hyperrealist style dervish statues and Video shows are part of this unique exhibition. Ask for your Free Multi Language Booklet. Please be available at the theater 30 minutes before the show time . Important Notice : Late comers are allowed to enter the sema session first 10 minutes for the sake of peacefull ceremony. 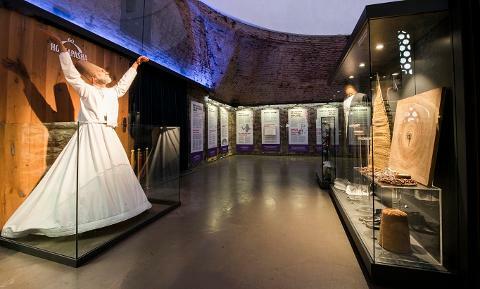 Booking of a visitors who come later than 15 minutes is regarded as No-Show and the ticket price will not be refunded. Our theater is not suitable for wheelchairs.